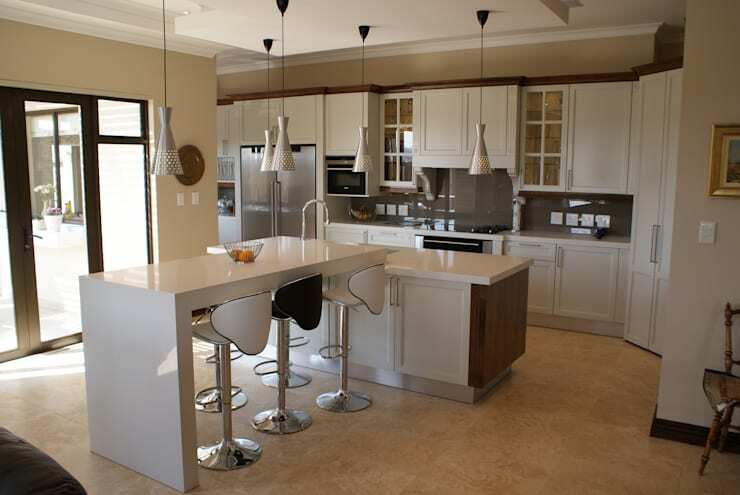 The kitchen is the heart and soul of the home and is the space where homeowners can enjoy a great meal with family and friends. 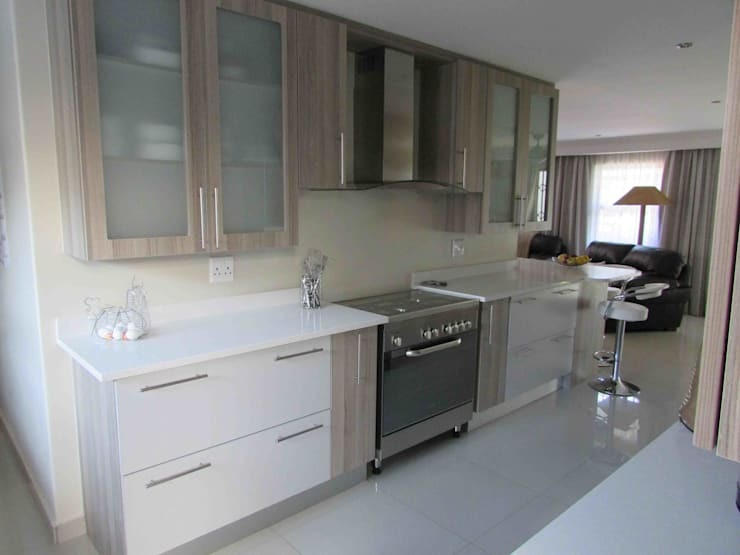 The South African kitchen is a space where inspirational conversation about politics, weather and of course food can be enjoyed and these 9 awesome kitchens are essential to see before your own home upgrade. 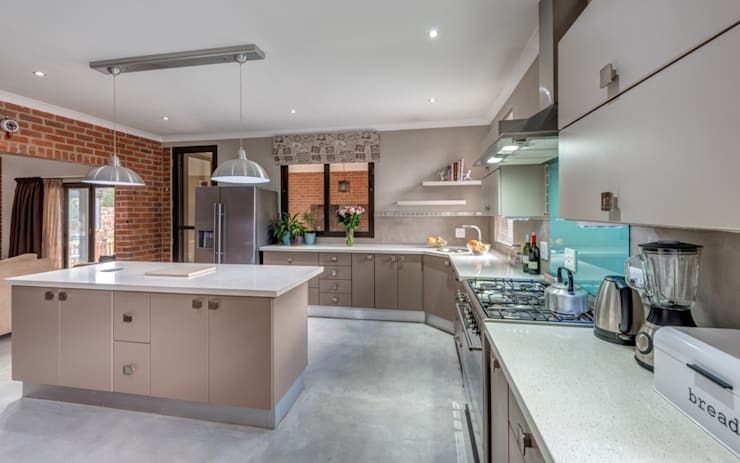 The neutral colour scheme of this kitchen is sleek and stylish, and with the modern appliances its perfectly minimalist too. 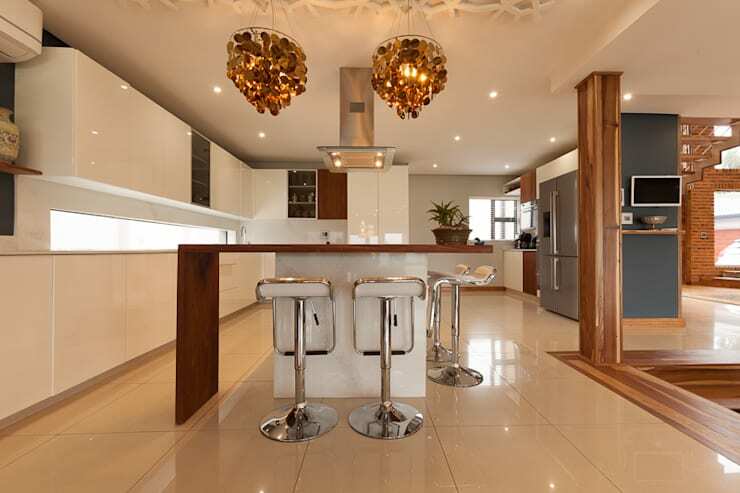 The lovely lighting featured in this kitchen along with the wood detail makes this kitchen an awesome decor choice. 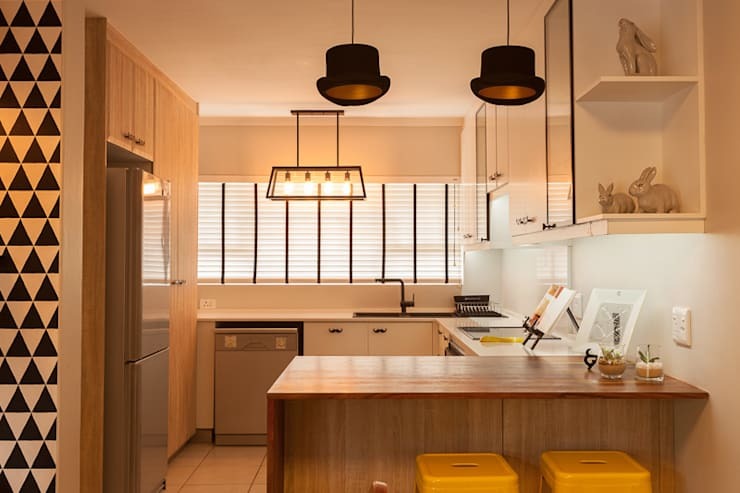 Opt for some quirky and eclectic design choices to liven up your kitchen. 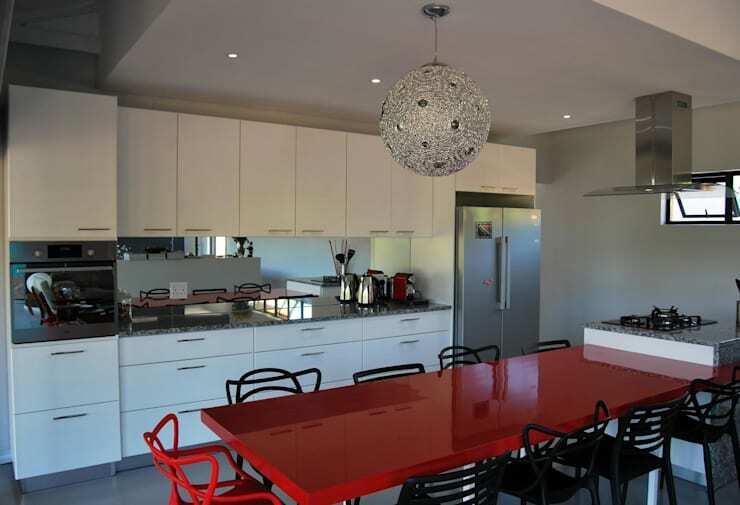 If you like the idea of a vibrant and vivacious kitchen with a gorgeous colour, then this red table and stunning illumination is the perfect choice to enhance the sensational design. 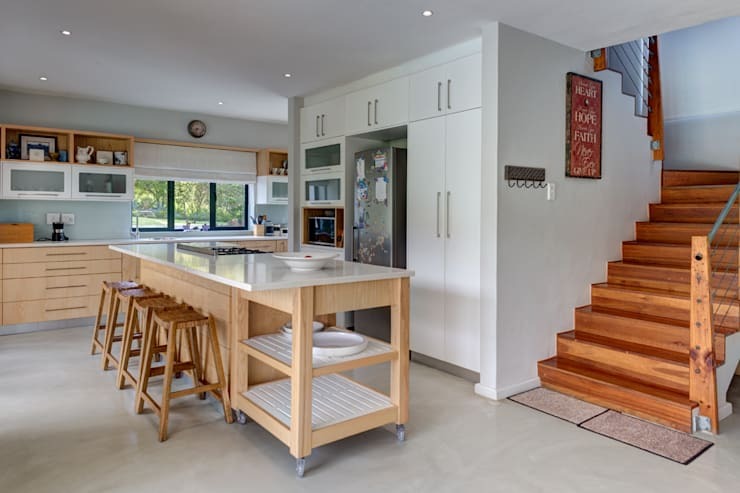 A spacious kitchen for a growing family can always do with informal seating to grab those quick meals before work. 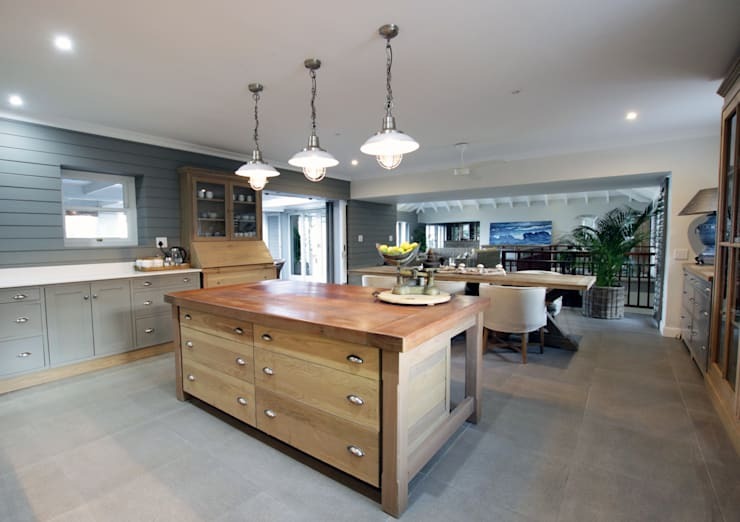 There are never enough cupboards in a kitchen, and this fascinating design is a stunning choice to make use of your spacious kitchen. 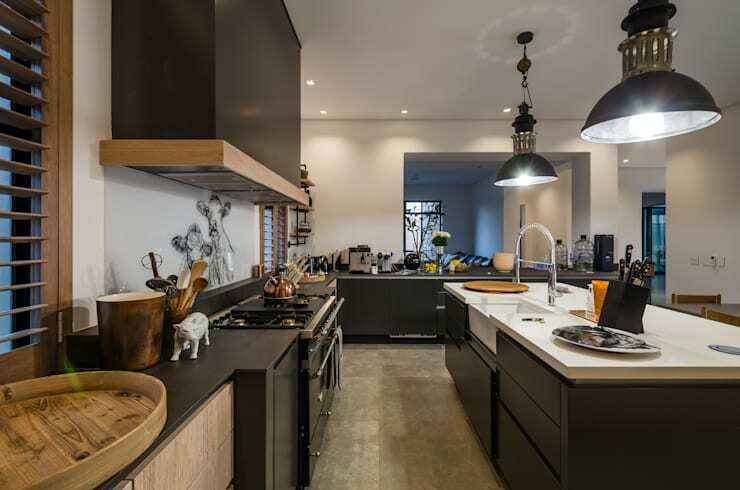 Decorate your fabulous kitchen in a darker hue for that home with an air of mystery. Or opt for something more rustic with this shabby chic design. Incorporate a sturdy wooden counter in your farmstyle kitchen and you will always have enough place to knead a loaf or two. Have a look at these 12 kitchen styles—which one is for you? Which of these 9 kitchens do you adore?